As usual, the portals stopped operating the Tundra direction when the first warm days has come. You can still activate and upgrade the Lykos Eggs and Pristine Snowflakes that you have collected. However you won't be able to visit Tundra and collect new Hibernating Eggs, craft Energy Sticks and Portal Cells, extract Liquid Deviance and collect Liquid Vermillion on the Battlefield. As a conclusion for Tundra season this year, we would love to share a Tundra themed story created by Volodymyr Kuznietsov, our BeastEon writer. The action takes place at the same time with your beasts trying to find their way to the frozen treasures of Tundra. Enjoy the reading and let us know what you think! We're moving to HTTPS connection according to the new security demands from Google. Please report if you experience any issues! Make sure that there's HTTPS and not HTTP in you address bar. 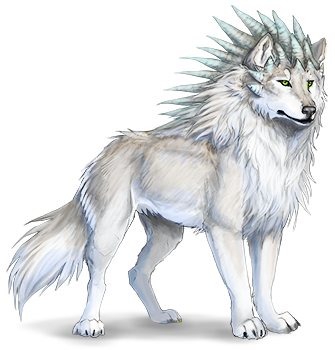 Winter has come to power and Tundra biotope has become available through the portal network! 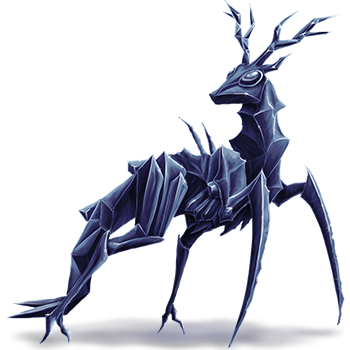 Beastlords value these cold distant islands for the possibility to find hibernating Lykos Eggs, and the luckiest ones can wander upon a Pristine Snowflake and grow their own Etelia. 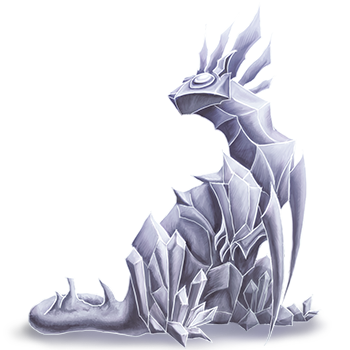 After spending a whole year with these weird frigid creatures, some of the Beastlords figured out how to purify the crystalline ice of a growing pristine snowflake and what conditions are required to keep a little Etelia pure while it is maturing. There is a 30% chance that a Prisitne Snowflake produced by a Black Etelia will grow into a White Etelia. "Dear Beastlord! I was watching over you for the whole year and decided to reward your deeds with this humble present. Hope you like it!" We remind you that each player is allowed to have only one account. Don't create additional accounts to get extra gifts. All players who have multiple accounts will have their accounts banned. It is time to announce the results of our bird quiz! 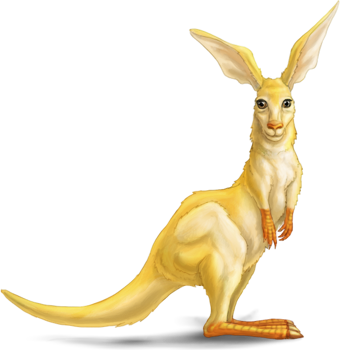 Congratulations to the winners who got first deviant Gryphons on Europa! 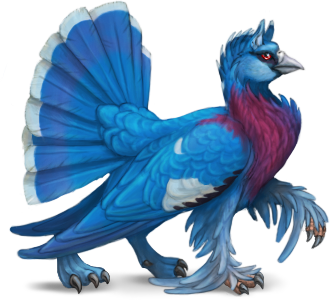 The Association of Breeders proudly presents deviant colors for Gryphons! The only way to breed a pet with both deviant color and pattern is to choose very specific parents. One of the parents should have a deviant color and the second one should have a deviant pattern. The chances of getting a deviation on each color parameter still remains 1/10 so the babies with the double deviation are extremely rare and valuable. The deviant colors are available only through breeding. Wild pets can't have deviant colors. Quiz - Guess the birds, win a deviant Gryphon! The Association of Breeders is going to hand out a few new deviant Gryphons to the Beastlords. Prove that you know how to handle these unique creatures and show that you're worthy to get one of them by demonstrating your knowledge of their ancestors' biology! 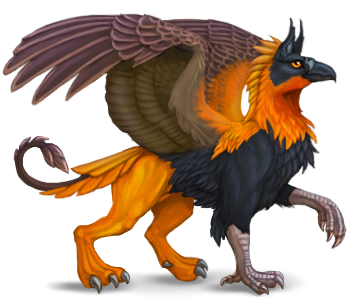 Get a chance to obtain one of the first deviant Gryphons! 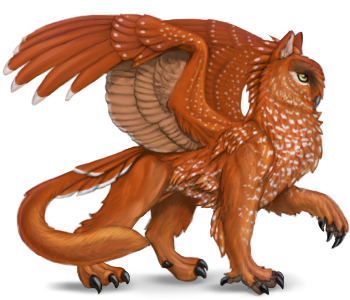 Your task would be to identify the real birds that were used to create the deviant Gryphon colors. Note: the deviant Gryphons can't be born naturally yet. They will start to appear on December 24th along with the publishing of quiz results. Conclave of Warlocks is looking for Cat's Eyes! Visit our exchange station to trade Cat's Eyes. Offer is valid until August 28th, 23:59! 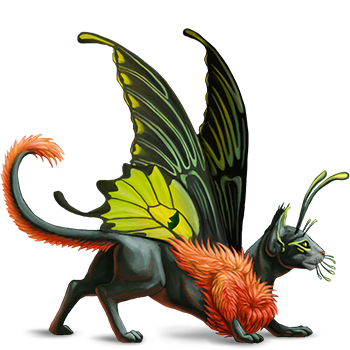 Warlocks have noticed that late summer butterflies named Cat's Eyes for their wing pattern are capable of travelling between worlds in search of the summer lands where they breed and thrive. Warlocks are very interested in researching this unusual ability. They suppose that these peculiar insects are a manifestation of Auxo, the Kami of Summer. According to the legend, Auxo incarnates in a form of a black cat which tries to glance behind each door in search for summer. Commoners believe that all black cats have a piece of that kami in them, at least their intolerance for closed doors reminds of her a lot. Search for Cat's Eyes in explore and in your own lands by fulfilling silver and gold quests, and exchange the caught insects for nice rewards! It's time to introduce you the project that we've been working on for a while already. BeastEon is virtual pet / world simulation browser game based on the same setting with BeastKeeper. You can find more details on our Tumblr or in the new forum section. I would like to clarify the designation of the report system for skins due to a large number of inappropriate and irrelvant reports that we got lately. All skins pass the manual review and moderation before getting to the skin directory. This means that all of the skins that you see in public directory have enough tech quality and themes which are appropriate for BeastKeeper. Some of the public skins submitted during beta may have lower tech quality and issues which are not acceptable for new submissions. This doesn't mean that they can be reported for their quality. They complied with the rules when they were submitted, and they won't be removed only because the rules have changed later.